One of the questions that au pairs regularly ask us, is how much pocket money they can expect from their host family. We have compiled this list of the 10 countries worldwide that offer the most au pair pocket money. This list is based only on the amount of pocket money offered to au pairs but it's worth remembering that in some countries, a host family will also make contributions towards other au pair expenses such as language classes, insurance and even flights to and from the au pair's home country. It's also worth noting that in host countries the cost of living varies greatly. For example, an au pair in Norway can expect to receive pocket money of 5,400NOK before tax (€625) but in China, an au pair can expect to receive ¥1000 (€150) per month. The cost of living in Norway is very high and an au pair can expect to pay 100NOK (€11.66) for a McDonald's meal whereas an au pair in China can expect to pay 29.00 ¥(€4.40) for the same McDonald's meal. Chinese pocket money may seem low, but in China this money will go a very long way. The host family will also pay for Mandarin classes, return flights to your home country as well as mobile phone and public transport card. It is worth noting that some countries have official regulations governing au pair pocket money, but others don't. In countries where there are no official regulations governing au pair pocket money there are national au pair associations that make recommendations regarding the amount of pocket money a family should pay their au pair. 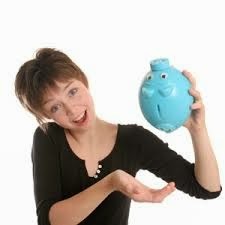 Some countries recommend a weekly pocket money whereas other countries recommend a monthly au pair pocket money. In the below list all pocket monies are quoted, in euros, as monthly pocket money based on 4.33 weeks in a month. We have done our best to be as accurate as possible in compiling this list. 10. Netherlands - €300-340 Au pairing in the Netherlands is regulated by law. The amount of pocket money paid to au pairs is between €300 to €340 per month and the au pair can work for no more than 30 hours per week. Host families will also contribute €320 per year to the au pairs’ language course. 9. United Kingdom - €395-480 /£286-347 In the UK au pairing is not regulated by law but the BAPAA recommends a minimum of £70 for a 25 hour week and a minimum of £85 for a 30 hour week. 8. Denmark- €440 /3300DKK Au pairing in Denmark is regulated by law and the amount of pocket money paid to au pairs is reviewed annually. The amount for 2015 is 3300DKK per month (around €440 per month). Host families pay for au pairs’ taxes, insurance and, if the au pairs come from outside Europe, they will also pay for their trip back home. 7. Ireland- €408-490 In Ireland there is no law regulating au pair placements, but Kangaroo Au Pair recommends that their host families pay between €100 and €120 for 30-35 hours per week. 6. Belgium - €450 Au pairing in Belgium is regulated by law. The minimum amount of pocket money paid to au pairs is €450 per month for a maximum of 20 hours of work per week. In addition, host families will bear the costs for their au pairs’ insurance. 5. New Zealand- €480-658 /NZ$693-953 New Zealand has no official au pair programme, therefore au pairs' pocket money can vary. Usually au pairs would be paid between NZ $160 and $220 (€111-€152) for 30-45 hours per week. All other expenses (language classes, travel, etc.) are paid by the au pair. 4. Norway- €625 /5,400NOK (before tax) Au pairing in Norway is regulated by law and the current amount of pocket money given to au pairs is 5,400NOK (before tax). Norse host families also pay the costs of their au pairs’ insurance, their return flight and part of their language course fees for a total amount of 8,100NOK (before tax) that corresponds to around €938. Please bear in mind, though, that the cost of living in Norway is equally expensive. 3. Australia- €592-740 / AUD$866-1083 There is no official programme for au pairs in Australia, but usually au pairs would receive between $200 and $250 AUD (around €107 and €179) for 30/40 hours work per week. All other expenses (travel, language course and insurance costs) are borne by the au pairs themselves. 2. USA- €800 / $845 Au pairing in the United States is regulated by law. There is a special program au pairs have to apply for and it's called the J-1 Visa program. According to this program, au pairs are supposed to work no longer than 45 hours per week and are entitled to receive $195,75 per week (that's around €184) plus $500 for their academic course work, a child development training program, and the costs for their trip to and from the USA covered. 1. Canada- €977-1300 / $1300-1732 Au pairs in Canada are treated like regular employees (live-in caregivers), therefore they're entitled to receive at least the minimum wage, but on the other hand they will have to subtract from their wages the costs for employment insurance, Canada Pension Plan and income tax. Working hours are not regulated, but usually au pairs would work between 30 and 40 hours per week. Au pairs should bear in mind that each province has different minimum wage rates. On average au pairs might get around $10 CAD per hour, so if you work say 30 hours per week, you should get around $300 CAD per week minus taxes. These taxes can be claimed back at the end of the au pair stay. Other popular countries that did not make the top 10 list of au pair pocket money include Germany, Italy, France and Spain. In Germany au pairs receive €260 pocket money per month. A host family in Germany will also contribute €50 towards language classes as well as paying for an au pair's health insurance. In Italy, au pair pocket money is not regulated but an au pair can expect to receive €250-300 per month pocket money. In France, au pair pocket money is €264-314.80 per month. Au pair pocket money is fully regulated in France and corresponds to 75-90% of minimum wage. Host families also pay for an au pair's social contributions. In Spain an au pair can expect €285-327 per month. We hope that this information has been informative. If you would like any other information about au pair pocket money please contact us in Kangaroo au pair and we will be happy to answer your questions.